In honor of the feature about the artist and his search for cultural integrity preparing to have its World Premiere special Marquee Presentation screening during the San Francisco International Film Festival, ShockYa is debuting an exclusive clip from the movie. The clip chronicles how the filmmakers tried to figure out how prisoners of conscience could be depicted in a way that’s relatable to audiences. They ultimately decided to encourage the prisoners to use Legos to create pictures that not only express their artistic thoughts and abilities, but also their views on, and thoughts about, the world. 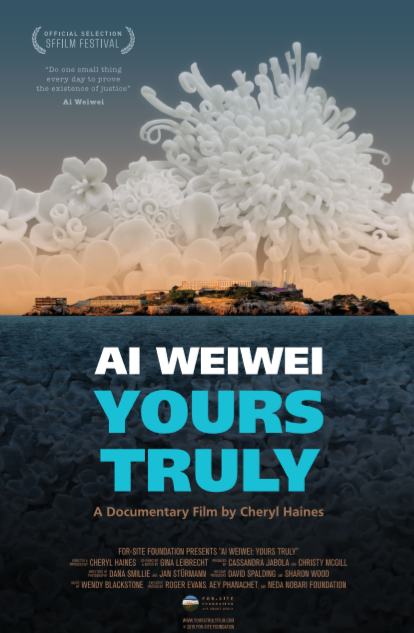 ‘Ai Weiwei: Yours Truly,’ which was directed by Cheryl Haines, is set to premiere during the festival this Sunday, April 14, at 7:30pm PT at the Castro Theatre in San Francisco. Ai Weiwei will be in attendance at the screening. The story of ‘Ai Weiwei: Yours Truly’ begins with the remarkable exhibition @Large: Ai Weiwei on Alcatraz, organized by Haines, who served as the curator. Following Ai Weiwei’s detention by the Chinese authorities, the outspoken artist and activist transformed the former island penitentiary with an exhibition that engaged nearly 900,000 visitors in a conversation about human rights and personal freedom. One of these artworks, ‘Yours Truly,’ invited the public to compose messages to prisoners of conscience around the world. By the time the exhibition ended, over 90,000 postcards had been sent. The film follows these postcards around the globe—from Alcatraz Island to Beijing, Washington, D.C. and Cairo—as former prisoners of conscience and their families discuss their difficult choices and the comfort they took from personal postcards reminding them that they were not forgotten. Ultimately, the film is a call to action through a simple act. It extends the reach of Ai Weiwei’s art and urgent call for freedom from injustice and oppression, as visitors pick up a pen and personalize the core principles of global human rights. In honor of director Cheryl Haines' documentary, 'Ai Weiwei: Yours Truly,' having its World Premiere special Marquee Presentation screening during the San Francisco International Film Festival, ShockYa is debuting an exclusive clip from the movie.